A special court on Wednesday resumed hearing the high treason case against retired Gen Pervez Musharraf and sought assistance in proceeding with the case if the former military dictator continues to abscond. Secretary Interior Yousaf Naseem Khokhar, present for the hearing, told the two-member bench led by Justice Yawer Ali that a letter had been written to Interpol for Musharraf's repatriation, but Interpol officials had refused to issue a red warrant, saying that Interpol does not deal in political cases. 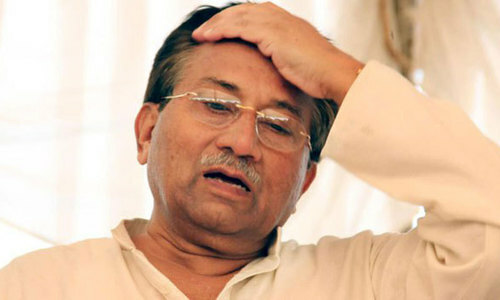 "How can the court decide the case if Musharraf avoids turning up on the next hearing?" Justice Ali asked. 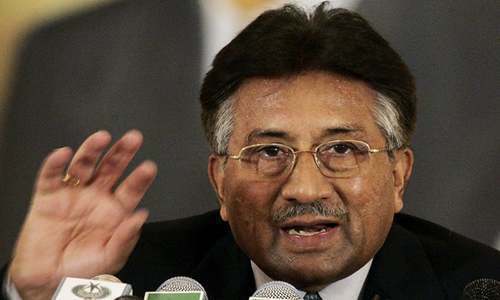 He asked authorities to inform the court on the next hearing if they can record Musharraf's statement via video conference or if the case can be pursued without recording a statement. During the hearing, prosecutor Akram Shaikh submitted an application to the court saying he wanted to detach himself from the case. 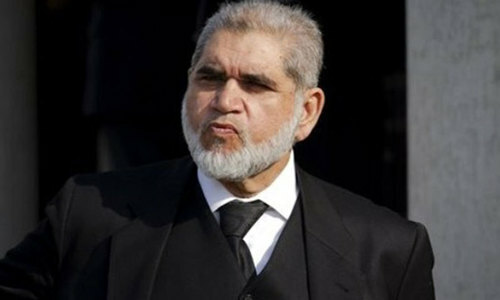 He also contended that the new government should decide whether to continue with the case or not. He added that Musharraf's counsel had become a part of the government and the interior ministry would have to decide the future course of action pertinent to the case. 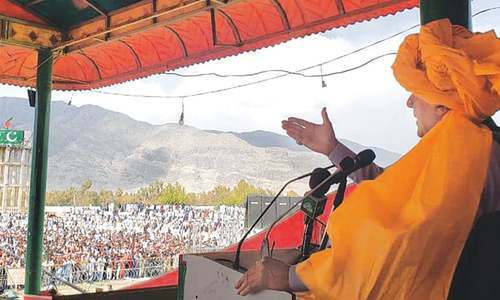 Sheikh had submitted his resignation to the interior ministry after the election, saying: "If the PTI wants to continue with the case, it can engage a lawyer to proceed with the case." The special court had earlier this year resumed its proceedings in the treason case and ordered that Gen Musharraf’s computerised national identity card (CNIC) and passport be blocked. The outgoing PML-N government had in May executed the court order and blocked the absconder's CNIC and passport. Justice must prevail, no matter who they are and what is their social or political status in society! Definitely should be tried in court he was a military dictator who ruled Pakistan like a King for 10 years. This is Naya Pakistan all crooks should be punished. Coward Musharraf not coming Pakistan . . .
Case should proceed on merit with no pressure from either side. He can be tried if his lawyer is present. Why is his presence required in person? Pointless political case initiated by Noon League. PML (N) leadership should be charged with treason for multiple reasons. This is not a simple matter. Once his case is decided in absentia, it would open the door for all former military dictators who are dead, on the same basis. That would be a good beginning to close the chapter for good with records being set straight. Musharraf has done immense good work (education, economy, anti-corruption, insfrastructure etc )for Pakistan. No need to worry about where he stays! Pres Musharaf was a person who stepped in the need of the hour. He has left now leave thin alone. Economic indicators during his tenure. Please use all the energy and resources on prosecuting the corrupts who have looted this nation in last 10 years and our loan burdened have increased by another Rs22 trillions and transferred outside in their families account.Musharraf may have done some mistake but he was not dishonest and the country progress and developed and US$ was Rs60 and there was no mega corruption.Please do not compromise on corruption. High Treason? There is something really wrong with someones thinking here. But then again, we have got it wrong with Malala, Dr. Abdul Salaam and many others who did good for Pakistan. Long Live Musharaf. True Patriotic after Quaid Azam. Does anyone know what happened to "Musharraf's Fund" raised billions $ back in 2005 earthquake appeal. This is why Pakistan deserves Zardaris and Sharifs. People who took Musharraf's 10 years progress backward. Now you are faced with half of your worth vs 2007. They don't understand that when a developing country like Pakistan has rupees devalued in half, who imports everything in dollars and pays all their debt in dollars, , it means that now you have to pay double for everything. That appears to be the only way forward. Great leader! Victim of corrupt politicians. Good luck, is it not time for the commando to face justice. Musharraf by far is the best ruler so far country has seen.. The case is so week against him that after 5 years the prosecution could not make an impact.. All the acts are validated by the Assemblies so , all his acts has either assemblies or court coverage...its really like wasting time, money and resources on this case..